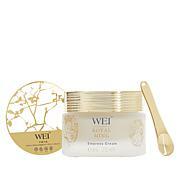 Wei™ Royal Ming Empress Cream - 1.7 oz. A deluxe anti-aging collection that holds the secret of a royal skincare ritual for all skin types. Use Empress Cream daily, morning and evening. Massage into face and neck. Allow a moment to absorb before applying makeup. Use Imperial Balm daily, morning and evening. Apply a small amount to wet hands and massage onto face. Rinse with warm water. Follow with tonic, then serum and moisturizer (sold separately). Use Imperial Tonic daily, morning and evening. Apply to entire face and neck with a cotton square after cleansing. Follow with serum and moisturizer (sold separately). 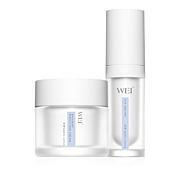 I've used Wei East 15 years this product is amazing. for 2 weeks my face is showing signs of youthfulness at age 67.I highly recommend. Happy to have Wei Back!!! So HAPPY to have Wei back. She is the Best. 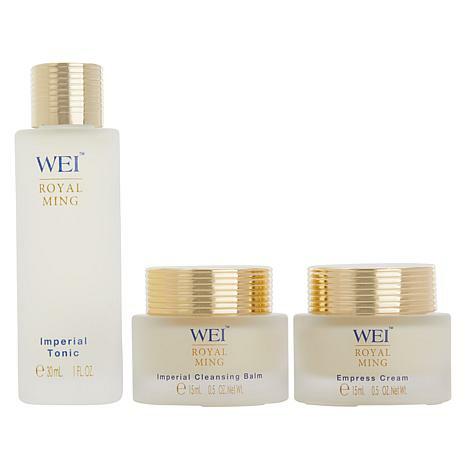 I am 66 and have used Wei's products since she started at HSN her Eyes Alive is wonderful.The Royal Ritual Age Repair collection is really excellent. The Cleanser is not for me because I have oily skin, however the Tonic (serum) and cream are wonderful. All I can say to anyone is to try it. I have used most all of Wei's products over the years and they are great and the price's are too. Win -Win. Glad Wei is back ! I'm glad I purchased two sets because I don't think I' would have had enough product for 30 days. The cleansing balm is very hydrating and does not leave skin dry. Very luxurious feel to it. The tonic is also very nice, it feels like a serum. The empress Cream is awesome. It definitely feels a step up from Wei's tightening and firming line. Please keep Wei East . Love her new line. Seems to make skin silky feeling. The quantity is small. Not sure it will last a month. Oh well we shall see.